Almost 800 KM from Cape Town, close to the northern borders of the Country, lies little known wine farm, making a big brandy statement. 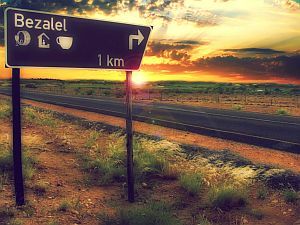 Bezalel Wine and Brandy Estate is situated between Kiemoes and Upington on the N14, and in these parts, is somewhat of an anomaly. Luckily for Martiens and Family, the elements came through for them, and most of the varietals grow healthy and happy and are used in production of a wide range of wines, fortified wines, ports and creme liqueurs. And, most importantly for us brandy fans, two very unique, and finely handcrafted potstill brandies. The Bezalel VSOP (5yo), with its strong tobacco, charcoal dryness, and soft subtle finish is beyond mature for its VSOP age stamp. And its recently released big brother, the XO Founders Reserve (10 yo), is even more marvelous with coconut, chocolate, smokey citrus and vanilla. The VSOP is quite unlike anything I have ever tasted in a brandy, absolutely unique, and largely accredited to the base wine used for production. 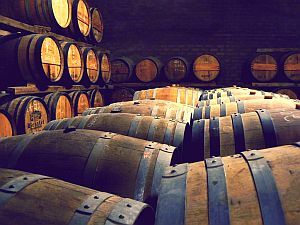 Most South African potstill brandies are distilled from a white wine base – normally made from either Colombar and/or Chenin Blanc grapes. While other varietals may make it into some base wine, for the most part it is white wine. Bezalel do things a little differently. 50% of the base wine is indeed from the lighter side, 25% Colombar, and already interesting, 25% Chardonnay. The real surprise, though, is that the other 50% is red wine, and not just any red wine. It includes some classic Portuguese cultivars of Touriga Nacional and Touriga Francesa, and the Italian stranger, Sangiovese. 5 and 10 year terms inside 320 litre french oak barrels transforms the clear distillate into the most fantastic dark brown fine brandy, and super premium unique bottles for both VSOP and XO really do push these products into another level for micro produced potstill brandy. The XO packaging is a real thing of beauty, the asymmetric Eiffel tower style bottle with fine gold writing, and a genuine Cognac cork stopper really make this one for the mantle piece. Perhaps the most intriguing thing about these two potstill siblings, is the very obvious work of oak and time in their final character. The exact same base wine was used in both brandies, but twice the time in oak for the XO has literally transformed it into a totally different product, one you would really struggle to determine blind if they were even family, let alone matured from the same distillate. 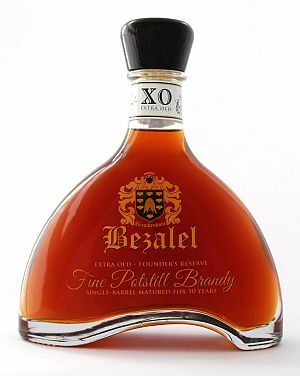 Read my full reviews on the Bezalel VSOP Brandy and Bezalel XO Founders Reserve Brandy in the tasting room. It’s a long way to go to taste some brandy, but if you can’t get all the way up to the Northern Cape right now, brandy sales are handled directly from the farm. So get in touch with Martiens, and he will be sure to hook you up. At around R220 for the VSOP and in the region of R500 for the XO Bezalel certainly aren’t asking the world for their brandies, especially considering the unique locale and packaging. They will compliment any brandy fans’ collection, and as far as I cam concerned, are a must have item in the brandy cupboard. A rough biblical translation of Bezalel means “In the shadow of God”. There certainly is something magical going on with these brandies. Go and get them.